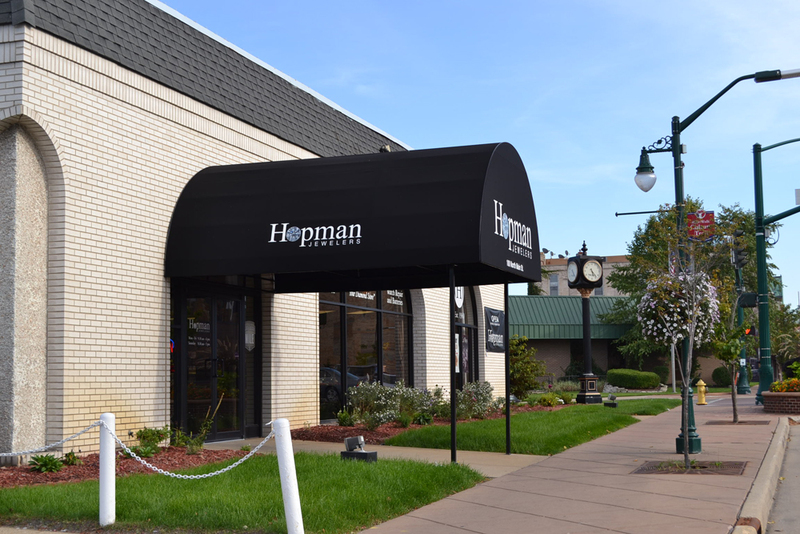 For over 50 years, Hopman Jewelers has been one of the most trusted names in jewelry in the Elkhart region. We are a well-established jewelry store that has grown with our community from a small store to a multiple brand jewelry retailer. We have served generations of families as their trusted jeweler for brilliant diamonds, beautiful fine jewelry, elegant watches, treasured gifts, custom made styles and expert jewelry repairs. Hopman Jewelers is committed in making every customer "feel at home" with our personalized service and our classic to cutting edge jewelry designs. Our years of experience and services have built a legacy of integrity and trust with our customers. At Hopman Jewelers our mission has always been a tradition of trust, high ethical standards, knowledge of our jewelry products and services, fair pricing and value to our customers.